Asiad Steels is one of the renowned manufacturers and suppliers of Inconel 600 Nuts, which Works well with most alkaline solutions and sulfur compounds and also has lower rate of attack from chlorine or hydrogen chloride. 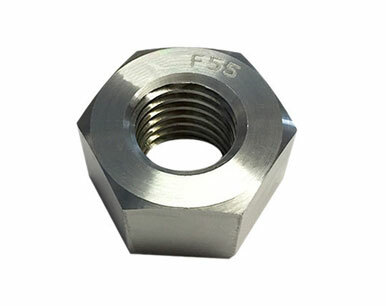 These, Inconel 600 Hex Nuts are nuts manufactured from alloy containing nickel as base element with additions of chromium. 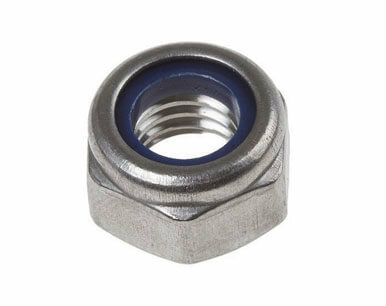 Inconel 600 Heavy Hex Nuts is often used in Heat treating muffles and retorts, Vacuum furnace fixtures, Chlorination equipment to 1000 Degree F, Titanium dioxide plants and more. Inconel 600 Hex Screws is a nickel-chromium-iron alloy that is a standard material for applications which require resistance to corrosion and heat. These Industrial Inconel 600 Hex Cap Screws are also widely used in automobiles, paper and cement industries. Inconel 600 Socket Cap Screws have special quality finishing and duress for long life, high pressure and zero defects. The Inconel 600 Countersunk Slotted Screws used to make Nut is of pure grade and premium raw materials with accurately supported documents. Our inventory includes high quality of Inconel 600 Machine Screws from approved manufacturers in all shapes and in sizes. Inconel 600 Allen Cap Screws is a nickel-chromium alloy with good oxidation resistance at high temperatures and resistance to chloride ion stress-corrosion cracking, corrosion by high-purity water, and caustic corrosion. Inconel 600 Square Bolts are readily fabricated (hot or cold) and can be joined using standard welding, brazing, and soldering processes. Inconel 600 Round Head Bolts resists steam and mixtures of steam, air and carbon dioxide. Buy Inconel 600 Screws at reasonable rates from us. 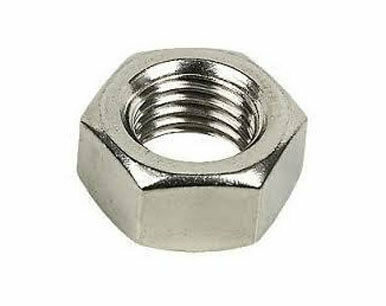 We are Exporter of Inconel 600 Nuts in Worldwide Such as India, Iraq, Chile, Costa Rica, Yemen, Pakistan, Denmark, Italy, Argentina, Serbia, Jordan, Nigeria, Lebanon, Oman, Mexico, Lithuania, Hong Kong, Germany, Ukraine, Bangladesh, Tibet, Vietnam, Morocco, France, Chile, United States, Bulgaria, Saudi Arabia, Taiwan, Belarus, Kenya, Colombia, Kuwait, Algeria, New Zealand, Poland, Angola, Japan, Finland, Trinidad & Tobago,Tunisia, Ghana, India, Egypt, Australia, Thailand, Singapore, Puerto Rico, Iran, Malaysia, China, Switzerland, Bolivia, Sri Lanka, Romania, Canada, Azerbaijan, Venezuela, Bahrain, Portugal, Sweden, Slovakia, Ireland, Iran, Mexico, Zimbabwe, South Korea, Norway, Bhutan, Estonia, Nigeria, United Arab Emirates, Namibia, Macau, South Africa, Hungary, Israel, Qatar, Netherlands, Afghanistan, Mongolia, Russia, Nepal, Austria, Poland, Indonesia, Peru, United Kingdom, Philippines, Spain, Czech Republic, Libya, Gabon, Gambia, Croatia, Belgium, Greece, Kazakhstan, Ecuador, Turkey, Brazil. We are Suppliers of Inconel Alloy 600 Nut in India Such as Mumbai, Sharjah, Edmonton, La Victoria, Cairo, Atyrau, Secunderabad, Dubai, Algiers, Tehran, Los Angeles, Colombo, Calgary, New York, Busan, Lagos, Riyadh, Melbourne, Jamshedpur, Bogota, Muscat, Bengaluru, Houston, Ernakulam, Manama, Geoje-si, Ranchi, Petaling Jaya, Milan, Mexico City, Chiyoda, Jaipur, Haryana, Visakhapatnam, Bhopal, Aberdeen, Howrah, Chandigarh, Ho Chi Minh City, Mumbai, Istanbul, Singapore, Jeddah, Kolkata, Kuwait City, Santiago, Karachi, Ahmedabad, Pune, Moscow, Ahvaz, Abu Dhabi, Kuala Lumpur, Jakarta, Kanpur, Thiruvananthapuram, Hyderabad, Montreal, Courbevoie, London, Dammam, Vung Tau, Doha, Noida, Sydney, Vadodara, Seoul, Granada, Al Khobar, Thane, Surat, Ankara, Ulsan, Madrid, Bangkok, Brisbane, Toronto, Navi Mumbai, New Delhi, Hong Kong, Gimhae-si, Dallas, Al Jubail, Nashik, Nagpur, Baroda, Coimbatore, Faridabad, Caracas, Perth, Indore, Pimpri-Chinchwad, Ludhiana, Hanoi, Gurgaon, Rio de Janeiro, Chennai, Rajkot, Lahore, Port-of-Spain.